The automotive industry’s only panel cart that folds up when not in use. The Innovative Panel Cart is a smart, space-sensitive solution for your panel storage needs. Panel storage is a common headache for many collision services shops. The Innovative Panel Cart is a smart, space-sensitive solution for your panel storage needs. This auto body shop storage cart holds up to six vehicle panels and glass. Maximize your shop’s floor space by folding the cart up when it’s not in use. The panel cart’s secure storage feature allows the cart to take up only two square feet of floor space when stored. The Innovative Panel Cart offers 26 post settings so you can securely position almost any sized panel. The cart’s extensive foam and rubber padding ensure that you can keep your customers’ parts free from chips and dings. 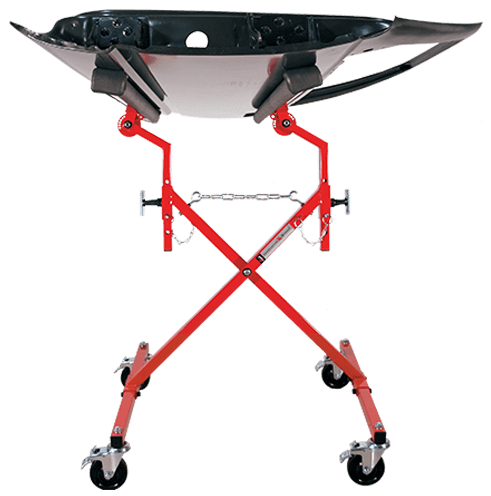 Built to last, the Innovative Panel Cart has a sturdy steel construction and a durable powder-coat finish. 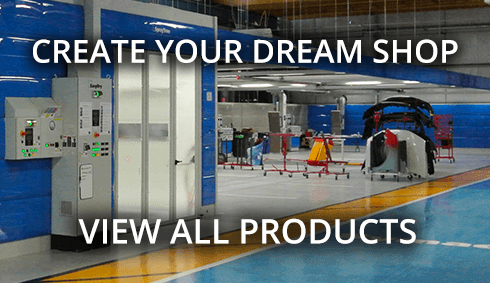 Innovative Tools recommends one panel cart for every 4 bays in your auto body repair shop.